After reaching Bombay, Agnes Kunze got on the way to Meerut, where a group of beggar-to-be leprosy patients were waiting for Arch-Bishop Evangelisti, OFM, to provide a home for the relief of their illness and lives, at Dehra-Dun, on the land being procured to enlarge the Catholic cemetery there. 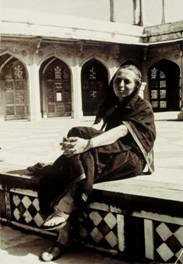 Naturally, Agnes Kunze was keen to see for herself Catholic Medico-Social work being done, and she found a rewarding experience at St Jude’s Catholic Hospital at Jhansi, meeting active German doctors and nurses being in close relationship with other Sisters (Salesians in majority) in South-Indian’s Hospitals mostly, whether geared towards attempts at curing this elusive disease, or other endemic illnesses. From there Agnes went to Meerut -Diocese Headquarters- through Delhi where she met a number of socially engaged priests and people like Fr Tong, SJ. 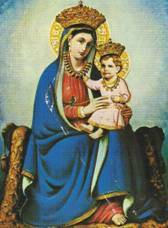 Arch Bishop Evangelisti had not the Colony-to-be ready ready to occupy, so Agnes was asked to familiarize herself with Diocese work, by helping here and there, particularly at Sardhana*, crib of local Catholic Faith, dedicated to “Our Lady of Graces” (Kripaon ki Mata, in Hindi), at pilgrimage time; then in an other suburb of Dehra-Dun, to help care at a Catholic Orphan children Home. At last, in the summer heat, the 3 acres land on the slope to the dry river-bed was ready for settling, and the inmates to-be had to make their huts, the Parish priest, Fr Gilbert, OFM, doing his best to supply some drinking water, bandage and food. Agnes moved to the presbytery, and started to come by bicycle, morning to evening, to give the comfort of her presence, do a minimum of nursing, assess the immense needs and start contacting her old and new friends by letter. While waiting for response from The German Leprosy Association, she took some time to study Hindi and Sanskrit at the Language School uphill (Mussoorie), where she could meet other interesting and useful new contacts. 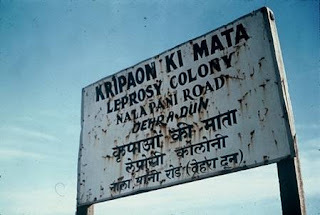 With the first Monsoon rains, the “Kripaon ki Mata Leprosy Colony” was finally inaugurated.